You can get different hormone rooting powders/liquids for softwood and hardwood cuttings – make sure you have the right strength. Taking cuttings is no great mystery – it’s quite straightforward when you know how – like most things. In the spring, plants start into growth – late spring/early summer is the best time to take ‘softwood’ cuttings. Later in the year – end of autumn/fall, beginning of winter – you take ‘hardwood’ cuttings. The soft and hard refer to the wood’s pliability – soft in spring, hard in autumn/fall. In both cases, the cuttings are taken from the current year’s growth. 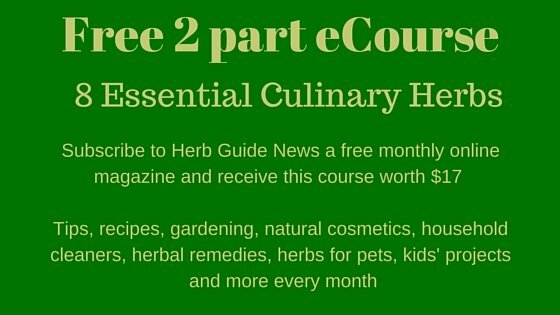 You take the cutting with a sharp knife cutting just below a leaf node. The cutting needs to be about 4 leaves – so that’s the tip and then three pairs of leaves below. Strip off the bottom two sets of leaves and wound the bottom slightly – just scrape a little bark away on one side - dip the end into hormone rooting powder, then put it straight into the compost – make a little hole with a thin stick for the growing cuttings to go into. Carry on packing into the compost about an inch apart (2 ½ cms) – they don’t need a lot of space to start rooting. If you water thoroughly at this point, then the soil will pack tightly round the stems filling any air pockets. You should put the trays into shade for about 7 to 10 days – then you can bring them out into the sunshine. 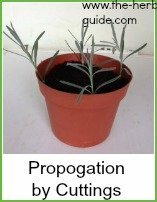 If it’s possible, then you should cover the cuttings with glass – maybe a cold frame if you have one – if not, don’t worry too much – it’s not critical and if you’re only growing a few cuttings for yourself then it’s not worth the investment – if you’re looking at growing cuttings for profit however, then it might be worthwhile. Don’t be disheartened if they fail – just take some more – a few weeks growth will have hardened off the wood a little. 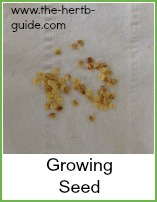 When you have definite signs of growth from the growing cuttings, then you will have a root system. 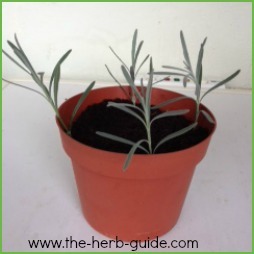 Remove the plants from the soil and pot on individually the same way as you would seedlings. Fill a plant pot with potting compost and water well. Allow it to drain and then make a hole big enough to take the root of your plant. Keep the pots in the shade for a week or so until the plants have recovered. This is a really easy way to increase your stock. 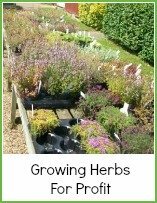 If you’re serious about growing herbs for profit, then buy two or three stock plants – take the cuttings and by the end of the year or next spring, you should have some fine specimens to sell.